• Flat screen TV with SKY TV. 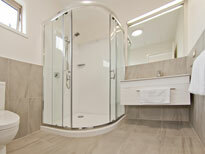 • Bathroom with shower, basin and WC. 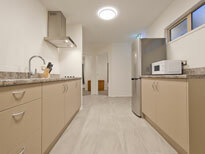 • Kitchen with hob, fridge, microwave and complimentary tea and coffee. • A portacot and highchair are available free of charge on request. • We can make up a fold away bed should you wish to squeeze a third person in - please enquire at time of booking. 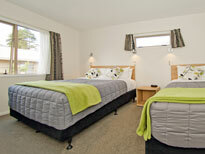 Price $135 to $190/night for 2 people depending on the time of year. $25 if you require an extra person (please request extra bed at time of booking). No extra charge for infants who don't require a bed. 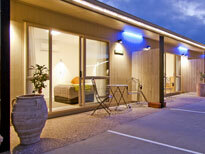 See book now page for current prices for each night. Like what you see? Click here for availablitity and pricing. 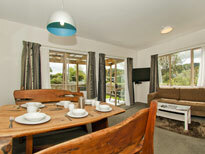 Best prices ALWAYS available when you book direct through our website. 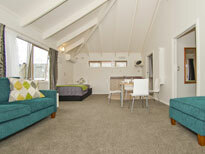 • 49sqm of space with vaulted ceilings. • New sofas and newly painted in 2015! 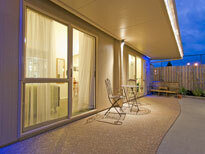 • An open plan lounge/kitchen/dining area with SKY TV and heat pump/air conditioning. 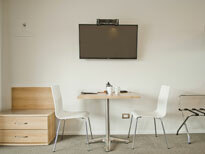 • Kitchens have hobs, fridge, microwave and complimentary tea and coffee. • A separate bedroom containing queen bed. 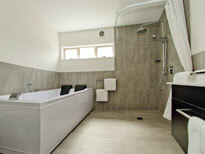 • A large bathroom featuring a spa bath, under-floor heating in winter, shower, basin and WC. • Two or three single beds in the lounge. • Outside terrace with table and chairs. • Easy access - park right outside and no steps. 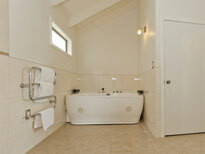 Price $165 to $275/night for 2 people depending on the time of year. $25 per extra person. No extra charge for infants who don't require a bed. 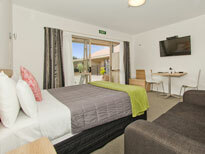 See book now page for current prices for each night. 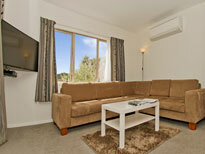 • An open plan lounge/dining area with SKY TV and heat pump/air conditioning. 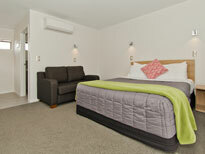 • 2 bedrooms - each with a queen bed and a single bed. 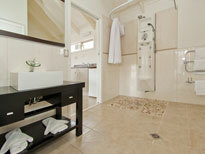 • Bathroom with spa bath, shower, basin and WC. 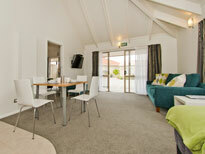 • Kitchen with hob, fridge freezer, microwave and complimentary tea and coffee. 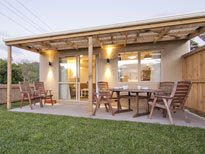 • Garden with covered pergola and table and chairs. Price $260 to $400/night for 2 people depending on the time of year. $25 per extra person. No extra charge for infants who don't require a bed. 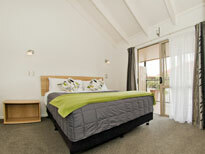 See book now page for current prices for each night.